Earlier this year, a friend from home came to visit me on her first trip to Thailand. 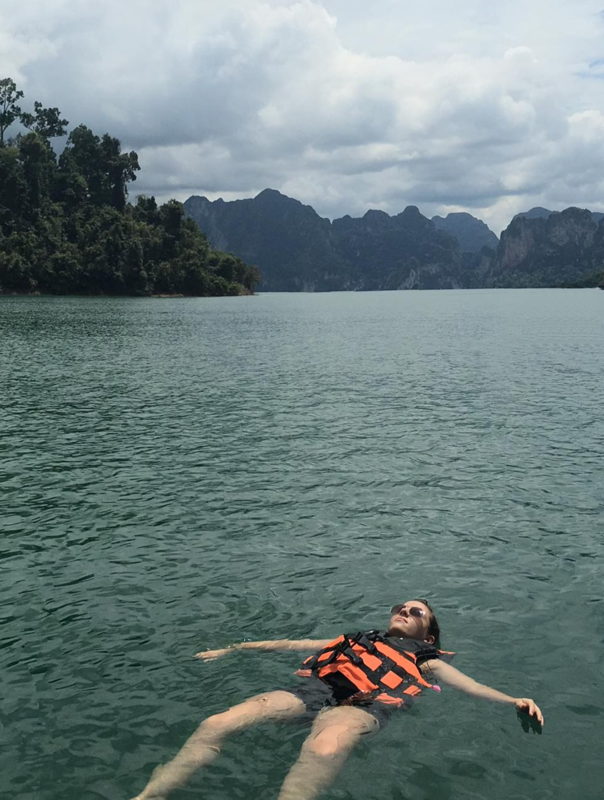 Being a first-time visitor, her research pointed her towards the tourist hotspots of Koh Samui, Phuket and the like. As an expat who wanted to avoid over-priced resorts and a non-drinker who's not into the party scene, I looked for more toned-down destinations that the locals were more likely to visit. 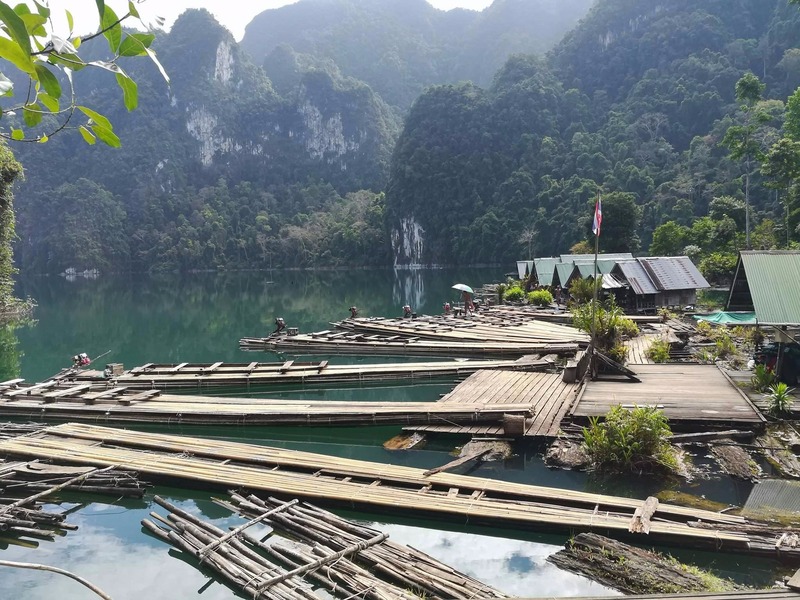 Another friend recommended Chiew Larn Lake in Suratthani province, selling it as a super-chilled place where you can stay in raft houses and get away from it all. It seemed right up my alley, and after scrolling through some gorgeous Instagram posts, I was sold. 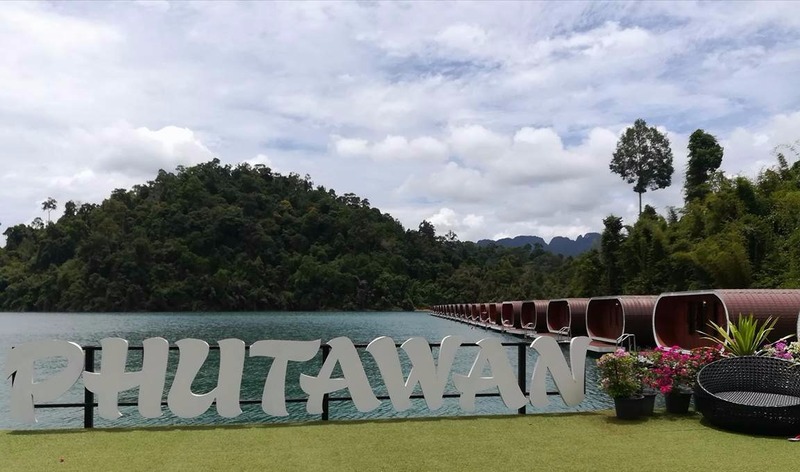 I booked a 3-night stay at Phutawan Raft House, a floating resort with little pods for guests to sleep in and boat tours around the national park provided. 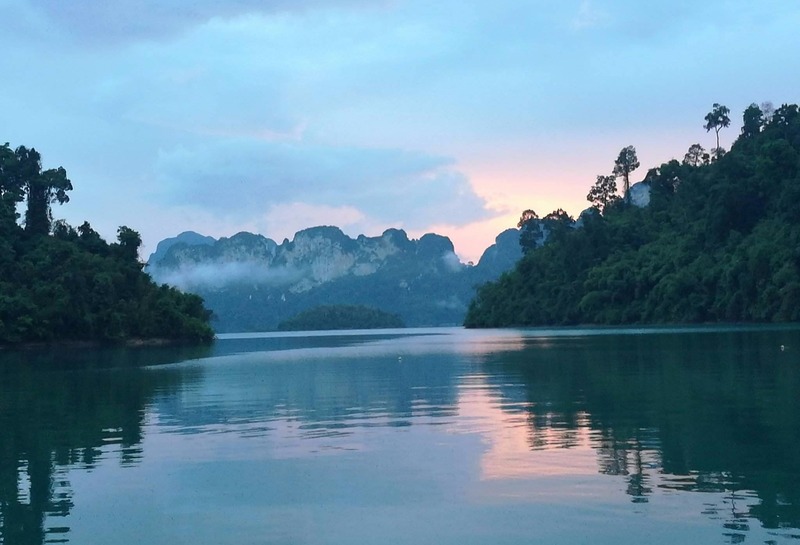 After taking a cheap, one-hour flight to Suratthani airport followed by an hour van ride, all we had to do was take a longtail boat ride to the resort. When we arrived, I was blown away by the beauty of it all. This was to be my home for the next three days, and I couldn't have been happier. On the lake, there's no WiFi and electricity only comes on after 6pm, which gives guests no choice but to disconnect, put down their phones and enjoy the nature around them. 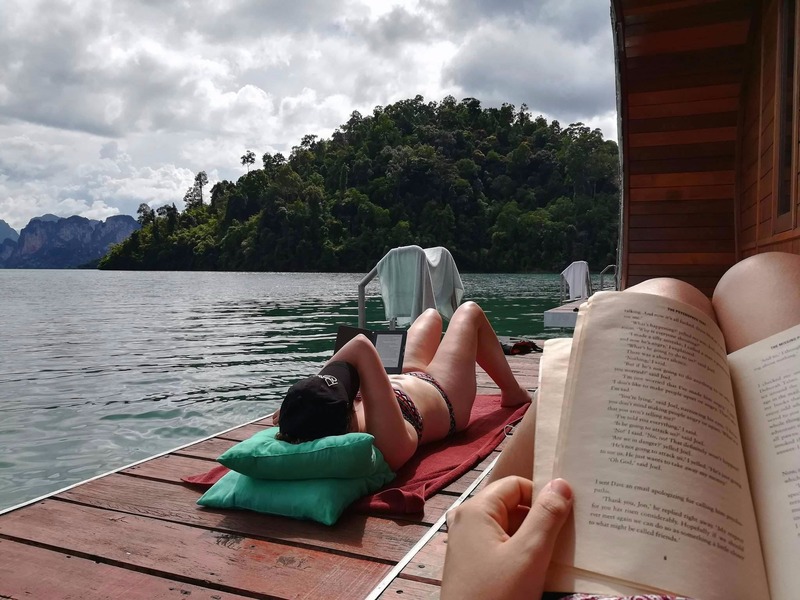 We spent our days reading, sunbathing, swimming, and kayaking. Of course, with lots of naps in between. Our only obligations were to be on time for excursions, which included boat rides and hikes, and meal times. Incredible Thai food was served for breakfast, lunch and dinner at the main restaurant, which included fresh fish, curries, soups, omelettes and steamed vegetables, with fruit for dessert. They continuously offered us extra servings, too! This, of course, meant that I ate way too much, and I loved every second. It was so wonderful to be able to just get out of bed, open the door and jump into the lake. I did just that at every opportunity I had, and spent most of my time floating around without a care in the world. The fact that there was no signal there made it even better, too. In a time when we're constantly connected and undoubtedly addicted to social media, a three-day respite was just what I needed. I'm very aware of my own social media addiction, and find it difficult to tear myself away from my phone at times. This trip was great for me to forget about who could be trying to get hold of me, what my friends were up to, or what was going on elsewhere in the world, and just live in the moment. Instead of feeding my compulsion to consume information with the internet, I devoured the books I'd packed in my very small bag. All of this was great for my sleeping patterns too, and every night that I was there, I had a wonderful, uninterrupted sleep. That, combined with my daily naps, meant that I came away from the trip more well-rested than I'd been in a very long time. If you're going to take a break from technology, I can't think of a better place to do it. Cheaw Larn was by no means the most luxurious place I've stayed, but it was definitely the most relaxing. I can't recommend it enough, and I'm looking forward to getting a chance to go back. Of all the places I've been to in Thailand, this just might be my favourite.